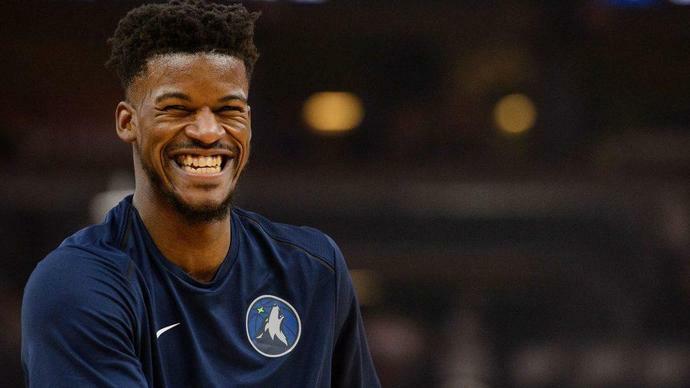 Jimmy Butler remains a member of the Minnesota Timberwolves. And now, with the season approaching, it appears that he will play in Minnesota's season opener against the San Antonio Spurs on Wednesday. Butler demanded a trade several weeks ago, and as of late nothing has been completed. There were reports that the Timberwolves and Miami Heat were close on a deal, but things fell apart at the last second. Butler was also part of a practice with the team last week in which he reportedly dominated the starting unit with a set of third stringers, all the while turning and yelling to Minnesota General Manager Scott Layden that, "You need me to win." Minnesota won their first preseason game of the year, but have been dominated ever since. The Timberwolves were outscored by a margin of 81 points over their final four games. The truth is that Minnesota was always going to have a rough season. The Western Conference got tougher over the summer, and things were already tenuous in the locker room before Butler requested his trade. Now, it's unclear how they will fare as they head into the season with Butler reportedly ready to play for the team. We will see how long this lasts. At this point, I wouldn't be surprised at any new twists. Michael Malone praised Jamal Murray's spirit for putting a bad start to the NBA playoffs behind him in Tuesday's win over the Spurs. Jamal Murray and the Nuggets get their chance Tuesday night at home in Game 2.